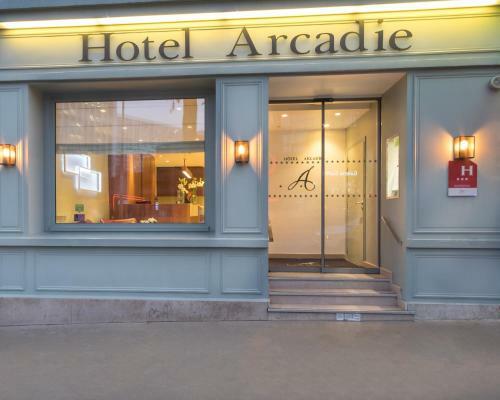 Arcadie Montparnasse is located 150 metres from Gare Montparnasse and is just next to Gaité Metro Station. 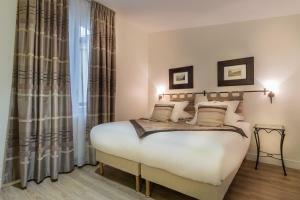 It offers rooms with a minibar and free Wi-Fi. 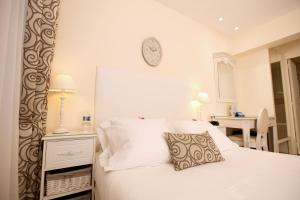 Rooms at Arcadie are decorated in pastel colours and feature a TV with satellite channels. Each is serviced by a lift and also has a private bathroom with a hairdryer and a bath or shower. 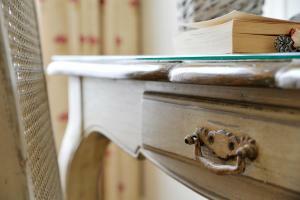 The hotel serves a continental breakfast every morning in the dining room or in the comfort of guests’ rooms. Additional facilities include a 24-hour reception with luggage storage. Jardin du Luxembourg is just a 15-minute walk away and local transport leads directly to the Champs Elysées. 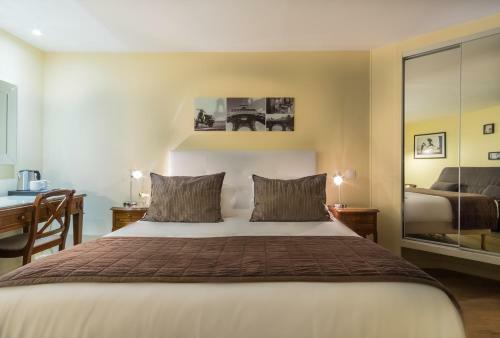 The hotel also has a tour desk and an airport shuttle service is available 200 metres away at an additional cost. Guests are kindly requested to call the property in advance if they wish to verify the bedding configuration. Please note that the property may pre-authorise the credit card any time after the booking. Guests are required to show a photo identification and credit card upon check-in. Please note that all Special Requests are subject to availability and additional charges may apply. Please inform Arcadie Montparnasse in advance of your expected arrival time. You can use the Special Requests box when booking, or contact the property directly with the contact details provided in your confirmation. This room features a view of the street, a flat-screen TV, wardrobe, minibar and free Wi-Fi access. The en suite bathroom includes a hairdryer and shower. 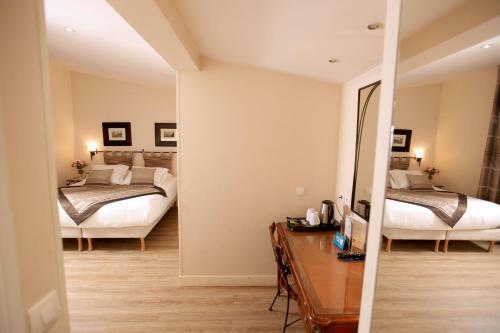 Rate: € 69.00 ... € 179.00; select dates below to get current rates. 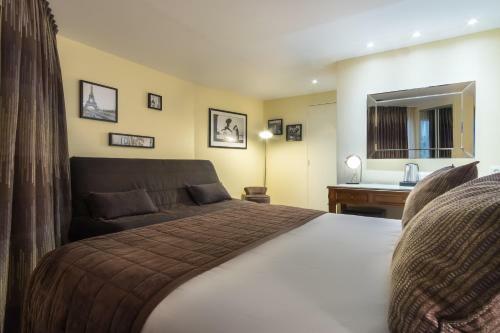 This spacious room features a view of the street, a flat-screen TV, wardrobe, minibar and free Wi-Fi access. The en suite bathroom includes a hairdryer and bathtub. Twin beds are available on request subject to availability. This spacious room features a view of the street or courtyard, a flat-screen TV, wardrobe, minibar and free Wi-Fi access. The en suite bathroom includes a hairdryer and bathtub or shower. Twin beds are available on request subject to availability. Rate: € 89.14 ... € 113.43; select dates below to get current rates. 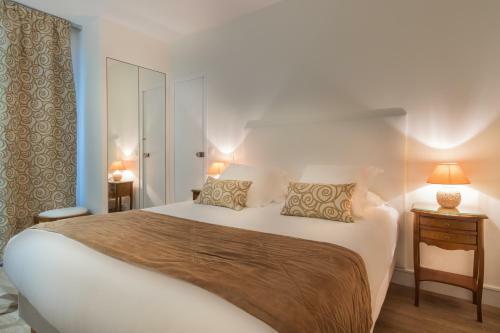 This spacious room features a view of the courtyard, a flat-screen TV, wardrobe, minibar and free Wi-Fi access. The en suite bathroom includes a hairdryer and bathtub.